Our favorite talking mouse arrived on Blu-ray on June 28, 2011. That day, Sony Pictures Home Entertainment released in high-definition four family movies based on well known children’s books: Stuart Little and its sequel, Jumanji and Zathura: A Space Adventure. Based on the books by renowned children’s book author E.B. 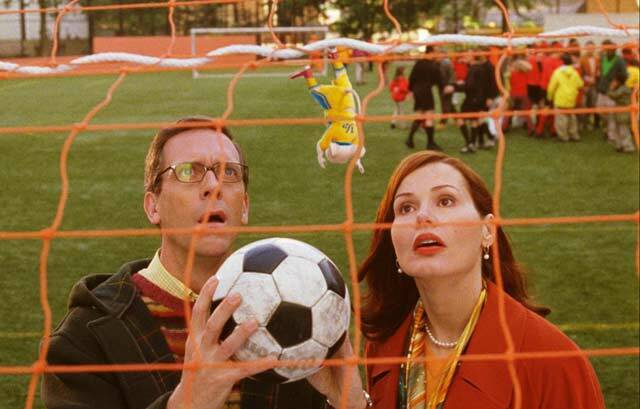 White , 1999’s Stuart Little and 2002’s Stuart Little 2 star Hugh Laurie (TV’s House) and Geena Davis (Thelma & Louise) as Mr. and Mrs. Little, who adopt the lovable talking mouse Stuart (voiced by Michael J. Fox, Back to the Future movies). Stuart must adjust to his new family as he tries to get along with his new brother (Jonathan Lipnicki, Jerry Maguire) and the family cat (voiced by Nathan Lane, The Lion King). Chazz Palminteri (The Dukes), Steve Zahn (TV’s Treme), David Alan Grier (Astro Boy), James Woods (Once Upon a Time in America), Melanie Griffith (Working Girl) and Jennifer Tilly (Monsters Inc.) also voice characters in the films, and Brad Garrett (TV’s Everybody Loves Raymond) plays the plumber in the sequel. Fantasy movies Jumanji and Zathura are based on the picture books by Chris Van Allsburg. In Jumaji (1995), brother and sister Kirsten Dunst (All Good Things) and Bradley Pierce (Beauty and the Beast) play a board game that makes each of their plays come to life, bringing a jungle — complete with dangerous animals — into their home, and the only way to make everything back to normal is to finish the game. Robin Williams (Old Dogs), Bonnie Hunt (Cars) and Patricia Clarkson (Easy A) co-star. In 2005’s Zathura, directed by Jon Favreau (Iron Man 2), Josh Hutcherson (The Kids Are All Right) and Jonah Bobo (The Fox and the Hound 2) star as brothers who play a board game and are whisked into a space adventure. Kristen Stewart (Twilight: Eclipse) and Tim Robbins (Bull Durham) are also in the movie. On Blu-ray, Stuart Little , Stuart Little 2 , Jumanji and Zathura: A Space Adventure each are priced at $19.958 for Blu-ray/DVD combo packs.